The best iPad mini 5 cases across all categories. All provide good quality, are durable, functional, and look amazing! 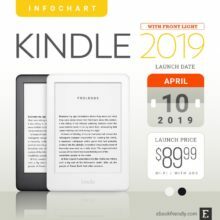 The next generation of the world’s most loved compact tablet has been released in March 2019, and many users got excited about it. 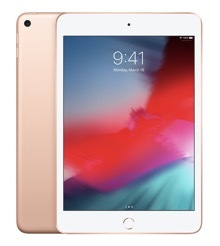 The newest iPad mini 5 looks the same as the 4th-generation model, but most improvements have been made under the hood. The new 7.9-inch iPad tablet features A12 Bionic chip, making it three times faster than its predecessor. The new display – 7.9‑inch Retina with True Tone – has the largest pixel density in the iPad family. It’s 326 ppi compared to 264 ppi of all other iPads (including Pro models). Last, but not least, iPad mini 5 comes with Apple Pencil (1st-generation) support. If you are planning to buy the stylus, think about getting the case that provides safe space for this accessory. As we’ve mentioned, iPad mini 5 has the same dimensions as the 4th-generation model, and many users ask whether they could use their old cases. 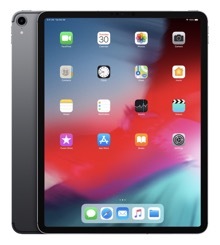 It makes many iPad mini 4 cases unusable or hard to use with the 2019 model. Read more about iPad mini 5 case compatibility. We assume you already know what’s available in the Apple’s online store (not much, as usual). That’s why, in the list below you will find the best Apple iPad mini 5 cases from Amazon, Etsy, eBay, and Best Buy. The photos you’ll see will let you quickly judge the look and quality of each case. 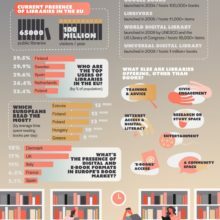 Images that explain all features in detail are usually ugly and we deliberately avoided including them in the overview. 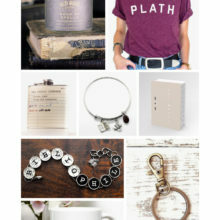 You can find them on product pages in each online store. 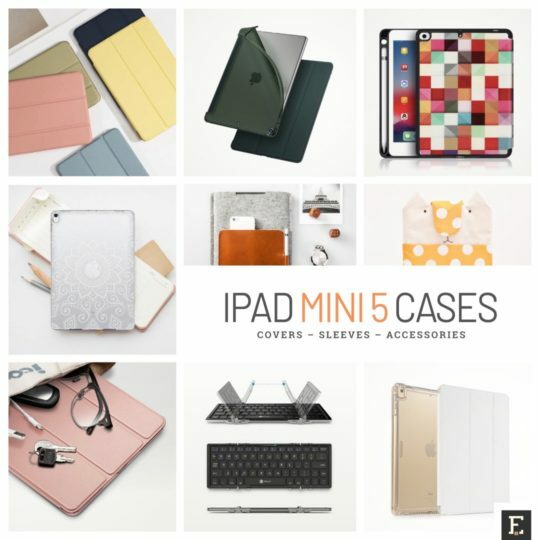 Apple iPad mini 5 cases selected for this overview will help you better define your preferences: from solid Smart Cover alternatives, to durable & protective heavy-duty cases, to fashionable sleeves (including girly ones), to cases with built-in Apple Pencil holder. 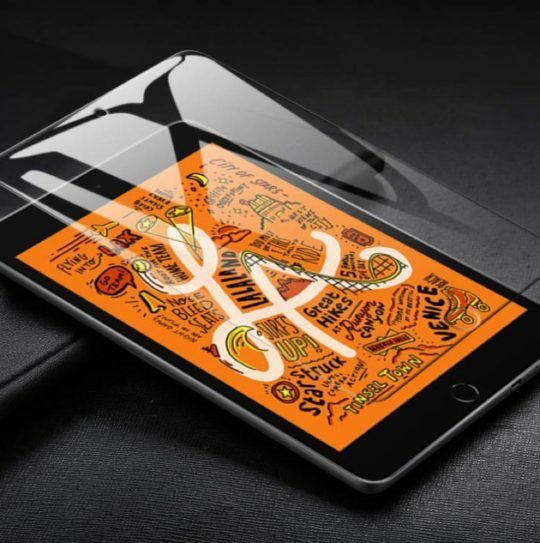 Therefore, no matter whether you are looking for the most functional iPad mini 5 case or the premium leather sleeve, you will find here an inspiration. 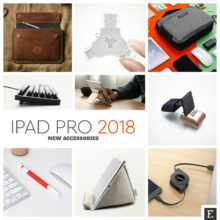 Are there any iPad mini 5 case covers or sleeves we’ve missed in this overview? Make sure to send us a tip on social media: Twitter or Facebook. 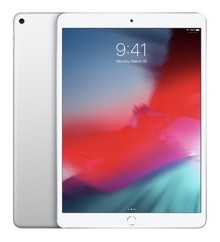 Since iPads are sold on Amazon through the Apple Authorized Reseller Store, more and more users decide to shop for all things Apple here. And they discover how many great third-party alternatives they can find for the Apple’s original Smart Cover. ESR Rebound is one of the best designs. 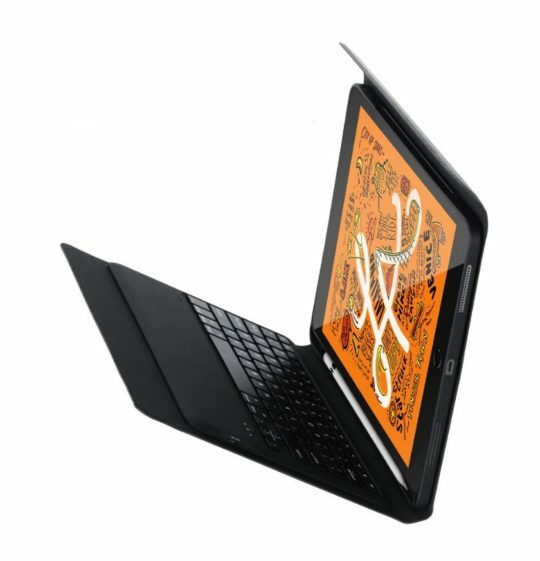 It combines a tri-fold cover with a back case made of soft and flexible TPU. Thanks to that, the case can be easily installed or removed, while offering a solid stand functionality and support for auto sleep / wake. Available in three colors: Rose Gold, Navy Blue, and Pine Green. 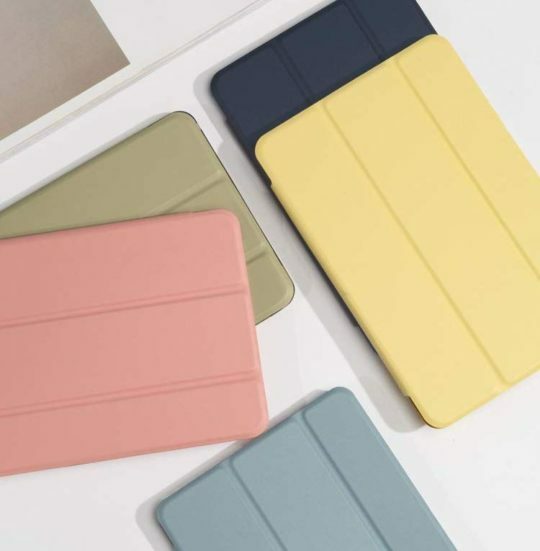 If you are looking for a Smart Cover alternative for Apple iPad mini 5 that’s available in a range of similar pastel colors as the famous Papaya or Pink Sand, you should check out Gudou on Amazon. Gudou is a new brand on the market of third-party case producers, so you won’t find too many reviews and ratings yet. However, these covers are offered in subtle desaturated pastel colors, and they look awesome! Which color are you into: Yellow, Blue, Pink, or Green? 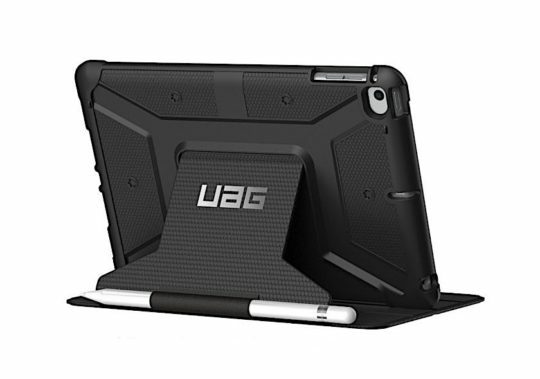 Many users were looking for this armor iPad mini 5 case to be released – and there it is! From Urban Armor Gear comes an ultimate combination of advanced protection and multi-level functionality. The Metropolis case is made of lightweight military-grade materials in a rugged, low-profile design. The Metropolis offers a built-in stand, oversize ports and tactile buttons to make sure your iPad mini will be a great companion of your next crazy adventure. Oh, and there is an Apple Pencil holder, too. The biggest problem with armor cases is that they look overwhelming, like being take right from a military facility. The solution? Get a case that gives enhanced protection but looks like a standard smart cover. Something women would much appreciate. Take a look at a iPad mini 5 heavy-duty case offered by Valkit. The front part is a typical tri-fold cover in popular colors (Gold, Rose Gold, White, Graphite, or Purple). The genuine idea is on the back side. The case is made of a durable hard PC with TPU, rugged, giving a much higher level of shock protection that most other cases. 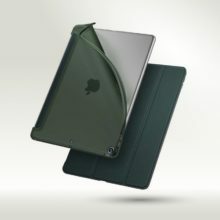 The case is tested to keep iPad protected when dropped from one meter. 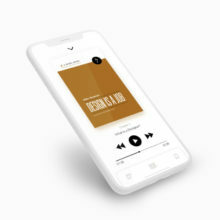 Although the back shell is quite thick (to make the case as much impact resistant as possible), it doesn’t look heavy as the plastic is transparent. 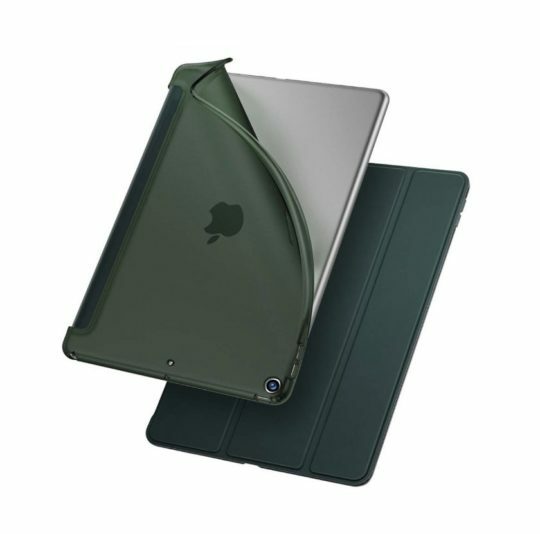 Here is another idea for a case that will help your iPad survive most drops. 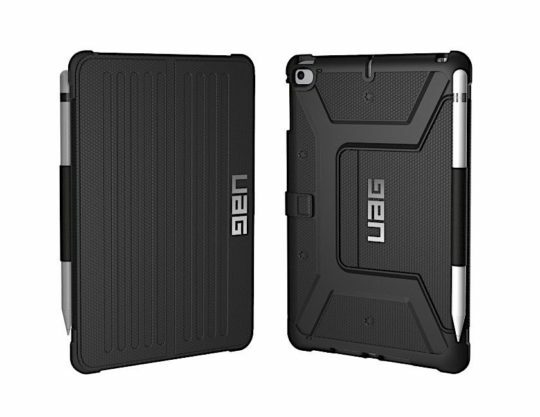 This on-piece rugged protective iPad mini 5 case is made of durable silicone, and designed the way to ensure reinforced corner protection. Using AirWave “rib and cell” technology, the case should handle a drop onto a hard floor from the waist height. 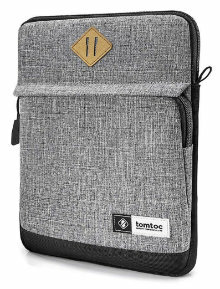 If you are looking for a universal alternative to smart covers – something that would be used with more than one generation of the iPad mini – think about the sleeve rather than a tailored case. 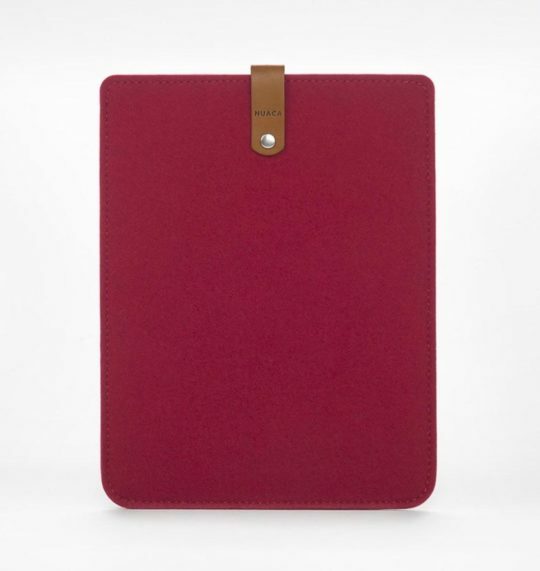 This slim and stylish sleeve is hand-crafted with love in Italy of 3 mm 100% premium wool felt, colored in burgundy, and complete with a secure leather closure. 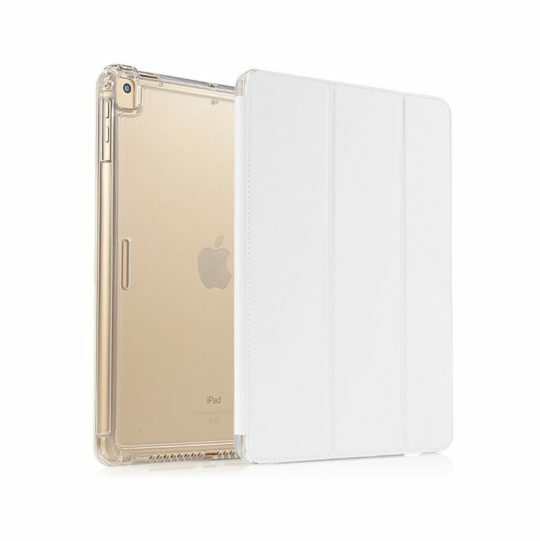 The sleeve is compatible with all generations of Apple iPad mini tablet. You can also check out 50 other variants made of light and dark felt. And here is another popular iPad mini sleeve you can find on Etsy. It’s handmade by good folks at City Sheep Store, and combines natural beauty with premium executive-style look. The most prominent feature of the sleeve is a large external pocket for iPhone, business cards, earphones, and other essentials. A pencil holder has been added exclusively for iPad mini 5 version. 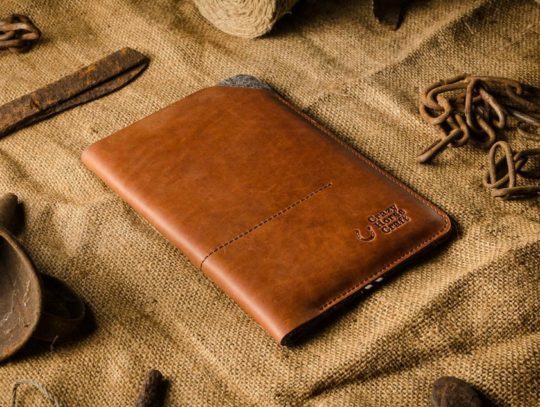 This iPad case is designed and manufactured from natural materials: merino wool felt and genuine leather, so it will be a great expression of your personal style and way of life no matter where you are. 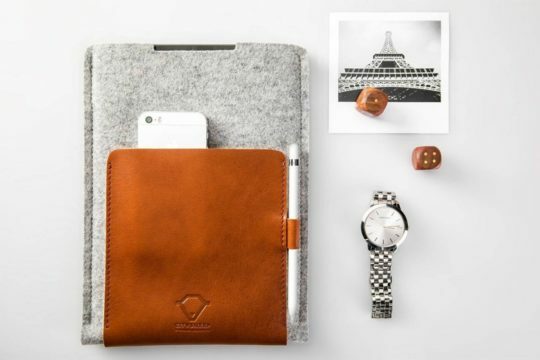 From our favorite Etsy shop with handmade accessories for all things Apple, comes a new luxurious sleeve made of premium Crazy Horse type leather and 100% wool felt. Inside the leather layer is 2 mm felt lining for enhanced protection. Two pockets on the outside are perfect for business cards and essentials. The best thing about the sleeve from Crazy Horse Craft is a way to personalize it. In a note to seller, you can order your custom text to be stamped on the front side in a classic serif font. Your initials or name will be burnt into the leather creating a sharp and stylish personal touch. 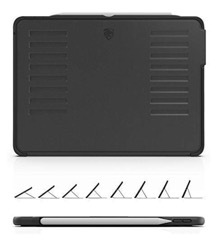 Are you looking for a durable keyboard case for your newest iPad mini? There are several models available already (and counting), but so far the most functional one is offered by Feitenn. 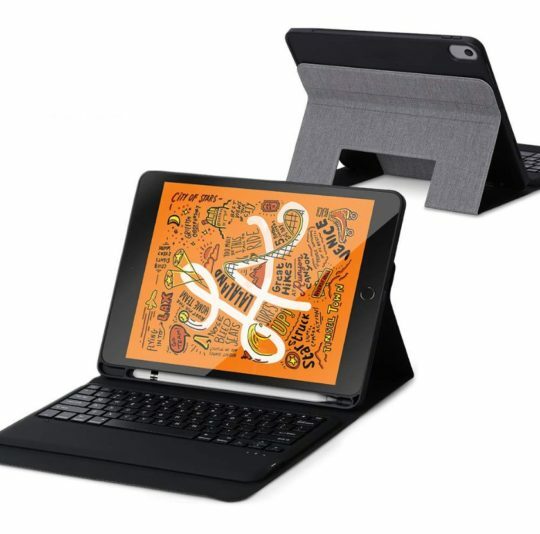 The case is not only the thinnest iPad mini keyboard case you can get right now. 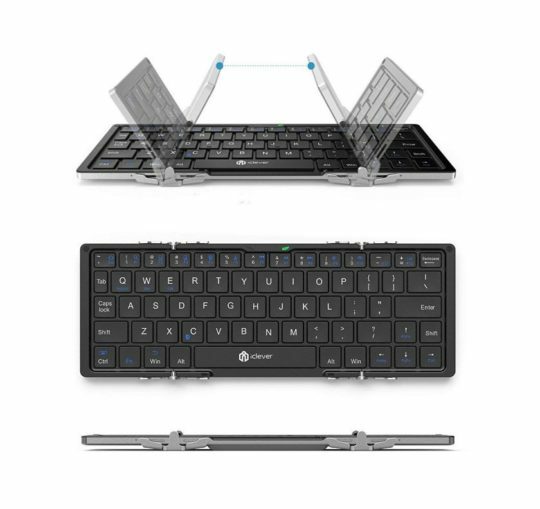 It features the full-size Bluetooth keyboard with gentle key responsiveness, offering a writing experience similar to laptops. The rugged design with rubberized exterior is resistant to water and dirt. Most importantly, the case has a built-in holder for Apple Pencil. The pen can be easily placed and removed. If you are going to use your iPad mini 5 for studying, this case should be on top of your list. A keyboard case can considerably improve your writing speed on the iPad mini. It has, however, one disadvantage – most probably you won’t be able to use it with your next iPad. That’s why it’s good to consider a more universal solution – a standalone Bluetooth keyboard. And, as iPad mini’s biggest benefit is its compact size, you should also go for a compact keyboard. Meet one of the most popular folding Bluetooth keyboards that are offered on Amazon. 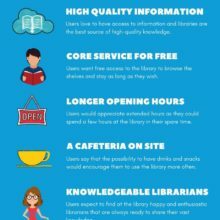 Made by iClever, it’s recommended for writers, editors, bloggers, and students. It’s 180-degree foldable, and measures only 5.7 inches when folded. I have to say that I absolutely love this keyboard so far. I am actually using it right now to write this review and I am breezing through it as if I was typing on a regular sized keyboard. So, you still haven’t found the perfect case. But you need your iPad mini to be protected, right? What about getting an affordable and simple case that could be used until you find the right one? This transparent case from Avidet seems to serve that purpose perfectly. It’s the thinnest and lightest iPad mini 5 case you can get and provides basic protection for the iPad while showing off all its glory. It protects against dust and scratches, giving instant access to all ports. If the clear case is too simple for, get the one with personality. 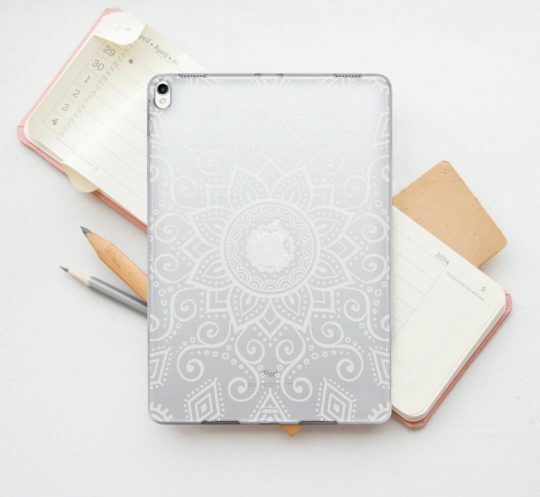 Offered by Pink Piggy Studio on Etsy, this iPad mini 5 (2019) case features a gorgeous mandala pattern circling around the Apple logo. It looks incredible on the silver variant, but it would look even better on the gold one! You can choose the mandala art work on a plastic or silicone back case, or order it together with the front tri-fold cover (in either black or white). You are looking at the cutest iPad mini 5 sleeve you can get! 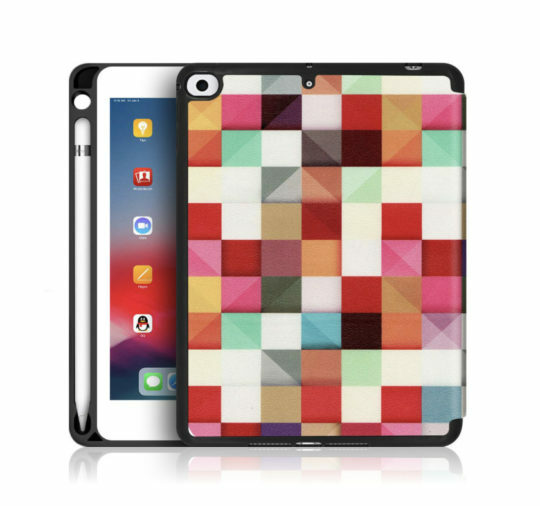 Hand-crafted with heart by Julia Cute Cases, the sleeve is a perfect gifts for an iPad-loving girl. It featured polka dot on a shape that resembles a friendly kitten. The sleeve is made of three layers. Inside, there is a smooth lining. The second layer made of fleece gives a soft touch and extra protection. On the outside, you will see a beautiful natural fabric, forming the ultimate cute look. 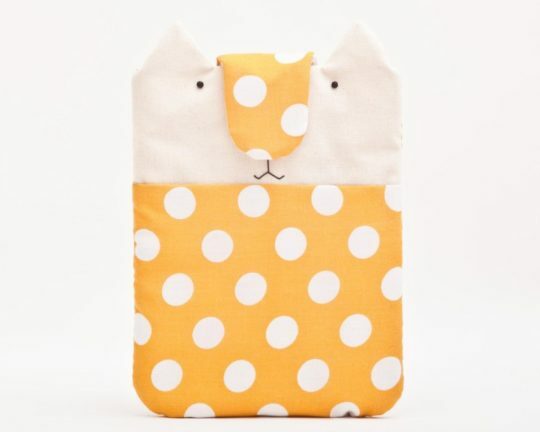 Besides the Yellow Cat, you will find in a Julia Cute shop on Etsy a dozen of other designs for iPad mini 5 (and older generations, as well). 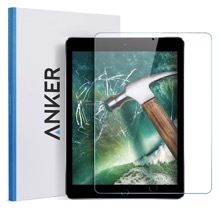 Now, the only thing that’s left to give your iPad mini all-round protection – even when you are using it – is the screen protector. The one from Top Ace is 9 times harder than common glass. It’s only 0.3 mm thick, giving full touchscreen sensitivity, also when using Apple Pencil. High-definition clarity maximizes transparency. 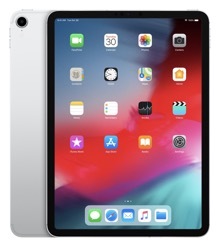 It’s extremely important, having in mind how fantastic is the display of the 5th-generation iPad mini released in 2019. 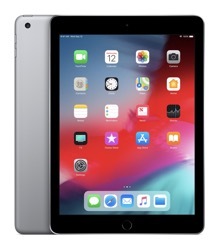 The 2019 iPad mini 5 supports Apple Pencil, and many users are planning to buy the stylus (or hope to receive is as a gift some time soon). Therefore, you have to make sure the pen will be protected when carrying it. One way is to get a separate Apple Pencil holder – there are hundreds of them on Amazon. 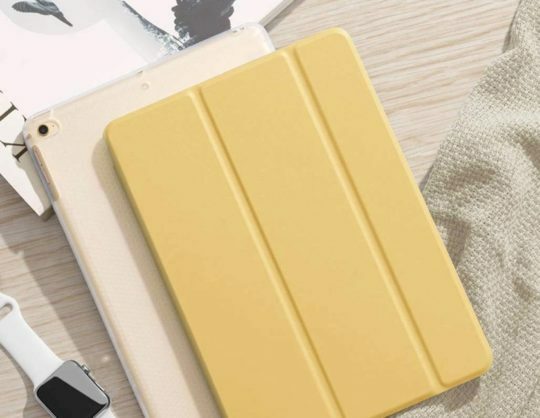 A better idea for your iPad mini 5 is to find the case that has a built-in Apple Pencil holder – like the one from JC Tech. The holder is located on the left side of the display, so it’s hidden when the case is closed. Thanks to a flexible back shell, it’s easy to place and remove the pen. The case is available in as much as twelve colors and patters, including the Magic Cube shown above. If you decide to go for a standalone Apple Pencil holder (a good idea if you are planning to use the stylus with more devices than just your new iPad mini 5), you should head to Amazon to find the largest selection of holder of all possible kinds. We like the most the design that is using a silicone sleeve that has built-in magnets. 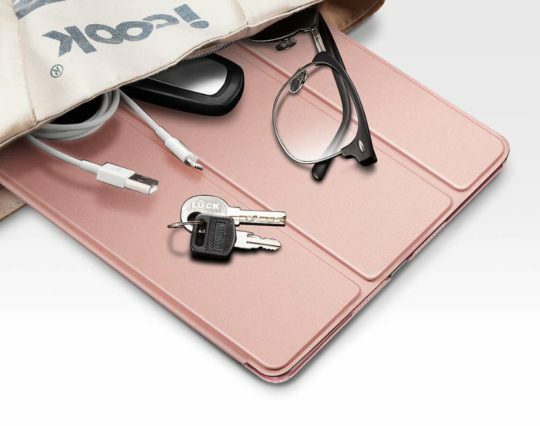 Thanks to that, you will be able to attach the holder to any metal surface – including iPad cases that support auto sleep / wake function (they have magnets embedded in the front cover). This silicone Apple Pencil holder includes a magnetic stripe that you can stick to any surface you want. The holder is available in a few colors, including Lavender, Ice Sea Blue, and Ivory White. 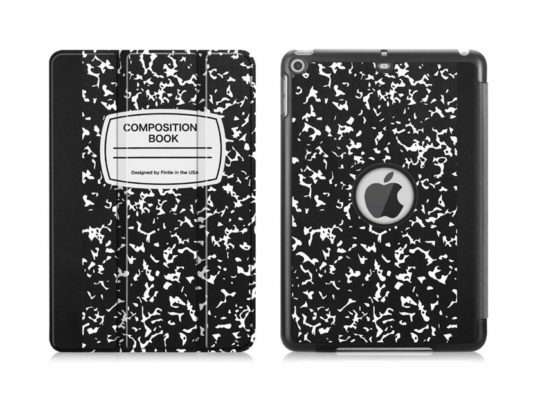 Cases that look like composition notebooks take the hearts of iPad owners by storm. They remind you that the iPad is here to help you learn, study, and create – the way you’ve never experienced before. 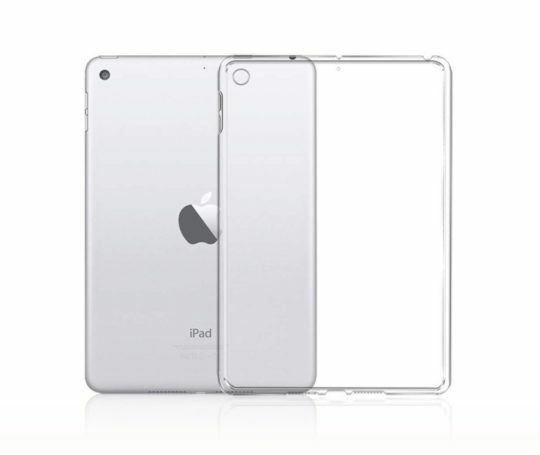 The “Composition Book” design will be offered for iPad mini 5 by many third-party case producers, there is no doubt about it. But for the time being, you can get it from Fintie. What makes the case stand out is, besides the popular design, also a price, which is set under $10. It will not last forever. The price will get higher after the case earns enough positive reviews. 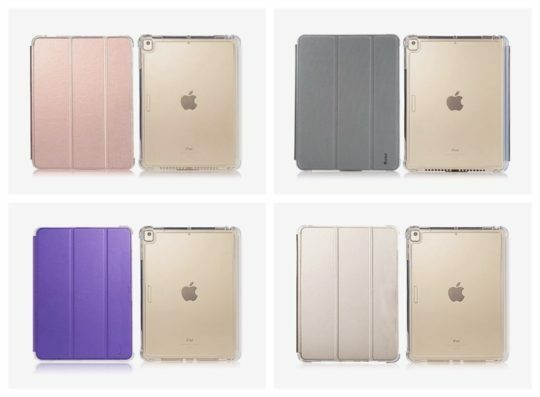 New iPad mini 5 case covers and sleeves are being revealed every day. And although we update this post a few times a year, we may miss this one case that wins your heart the first time you see it. Amazon – the giant online store offers the largest selection of all kinds of case covers and accessories. 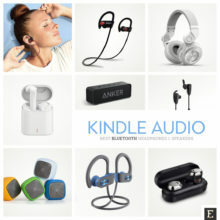 If we had to pick one web destination for everything related to tablet and e-reader accessories, it would be Amazon. 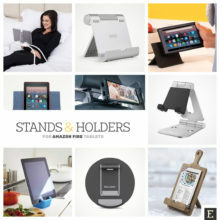 Best Buy – the range of offered iPad mini cases and accessories is pretty limited, but the store is worth checking out if you want to buy cases and accessories at reduced prices. eBay – a proven place to shop for affordable cases and accessories. Sometimes, you can pick up here the case that’s the same as the branded one you’ve found on Amazon but costs two-thirds of the price. 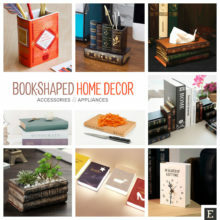 Etsy – this is our favorite marketplace for custom items, hand-crafted to order. There are a plenty of unique sleeves and jackets to choose from. 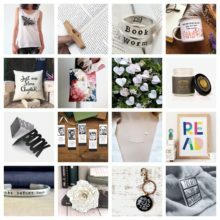 Most of them are handmade, many can be personalized. iPad mini features a thin, light, and portable design that makes it the perfect on-the-go companion. At less than a pound and 6.1mm thin, it’s easy to carry with you in one hand or take out of a pocket or bag whenever inspiration strikes.